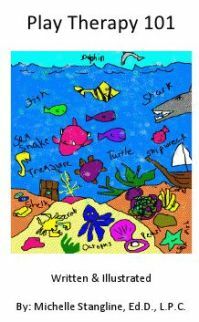 Sandtray therapy can be used to help any therapeutic relationship to express emotions symbolically and metaphorically. It can help the client represent their feeling and experiences with a scene rather than verbally. 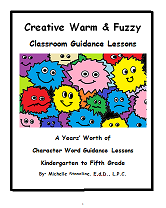 It can be used with adults and adolescents as well as children. Use it when clients trusts the therapist and as a way to deepen therapy for the willing client. 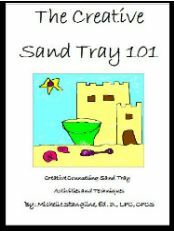 Sandtray therapy is both a way to get unstuck but also can be met with resistance. It can be used after a loss as a way to express grief, anger, and fear. The sandray can include barriers such as fences to separate and bridges to transition between parts of one’s life. He shares a personal sandtray illustrating his family life, spiritual life, and his work. This work takes place in a tray with scenes created with miniatures to represent clusters. Trays should be regulation size, blue on the bottom for the water and blue sides for the sky. Trays can be wooden or waterproof for working with young children. Sand can be play sand or smoother sand of different colors. Miniatures may look aggressive or nurturing/nonthreatening and should be arranged separately and categorically and include nature, people, animals, etc. There are three phases of the sandtray process. Setup involves the arrangement of the miniatures using shelves or tables prior to client arrival. The scene creation phase should begin with an explanation of how to represent your client’s present life and silently wait for them, noticing both the choices and the expressions on the client’s face as they create the scene. During the processing phase, with the tray to the side, the therapist may start by asking about the scene or the feelings currently in the moment. He asks his wife, who is demonstrating the tray, to share her feelings in her body, to describe a part of the tray, if she’d like to share anything else about the tray. This part of the video series was very emotional for the client and he responded to her in a therapeutic humanistic way. It prepared me for how meaningful and personal the tray can be for the client, which was actually the most meaningful aspect of this series. Dr. Barbara Turner discusses Sandplay Therapy from a Jungian perspective using both wet and dry sand. She demonstrates how to invite the client to use the sandtray. 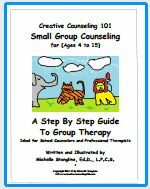 She describes how to begin by exploring in the sand, choosing miniatures, creating a picture while the therapist draws a map. The client may be asked to share a title or a story or any associations as may be in our unconscious like in a dream. She describes that the box is the sandtray while the process is the sandplay, though terms can be used interchangeably. Pictures may be taken of the sandtray scene and it should be disassembled after the client leaves. Also the size is important because it fills the vision of the client. She describes how to read or look at different samples of trays, recognizing order, conflict, and other possibilities. She demonstrates how to observe the different areas of the tray and look at the diagonals. In the descriptions, there are many assumptions. She draws conclusions based on the connections between the client’s life story and the pictures in the sand, and she describes the parallel with the verbal process in talk therapy and the unconscious emerging in conscious conversation. The process can be observed by noting what changes and stays the same from one tray to the next. As the client changes the miniatures, the psyche is moving and accessible to healing. 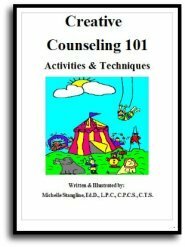 While verbal therapy is more conscious and hierarchical in relationship, in the sandtray work the therapist is an external consciousness or witness allowing the unconscious be a part of reality. Dr. Turner describes the creation of the sandplay technique and the history including personal perspectives. She shares about the goals and perspectives of these historical figures, including the experience of Klaff being encouraged by Jung, learning from Lowenfeld’s World Technique, and recognizing the individuation process as well as centering or wholeness recognized in her Buddhist journey. She felt strongly play should be included in the titling of this process and this is how she distinguished it from the World Technique. The sandtray is free and protected space available to the client. The therapist is the most important tool creating safety. I responded more genuinely to these videos that seemed both practical and personal than the Steve Armstrong and Barbara Turner videos. The others were clearly instructive but felt more cultish compared to Jill Wedlock. I appreciated the examples without exploitation and the practical informative videos explaining the arrangement of items. 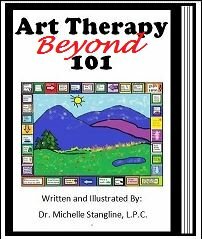 It seemed more to provide a sample of ideas without judgment but clearly to offer a diversity of choices for the benefit of the client, always keeping the client in mind not just about the right way to practice this type of therapy. She seems more flexible and fluid in her approach. I like as well how she considers the appropriateness of her miniatures for the age of child, keeping a few but not overwhelming amount of “dark characters” so as not to overwhelm but still having them available. Her descriptions are practical and thoughtful. She seems to be vulnerable and open to sharing her own thoughts, perceptions, and emotions. I responded positively to her teachings and felt her openness made it more real and accessible to me personally. I could also hear my own voice in hers and enjoyed her sense of balance in seriousness and play as well as the story telling balance of fantasy and reality. She provides more of an example of someone I would like to continue striving to be, one who is compassionate, empathetic and yet advocate, self reflective, and authentic. In her example, it is possible to witness the sadness involved in working with those who are broken and hurting while helping provide a light of hope in their world. I appreciate her recognition of the importance of the present moment.